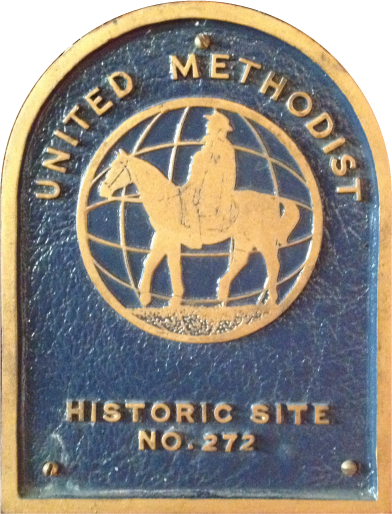 The United Methodist Church of Sea Bright has a great history of serving its community for over a century and a half! Established in 1865 by the mainly Swedish and Norwegian fishing families that populated the area (starting in the early 1840s), the congregation would meet mostly on the beach with a large gathering of 200 or more people. The first Church body (the people) called themselves The Church of the Fisherman. The original Church was built on our site in 1889. It was designed by William B. Bigelow and built by A.P. Cubberly, a Long Branch builder. 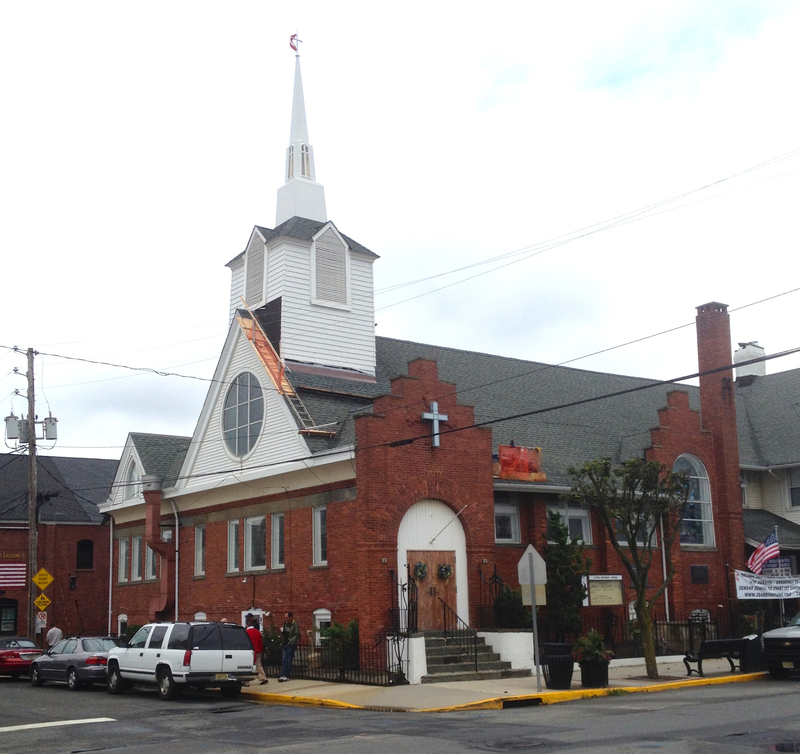 The original Church burned down on June 16, 1891 with most of downtown Sea Bright. In 1892, Bigelow and Cubberly collaborated to build the existing Church and Parsonage. They used red brick for the structure, so that in case of another fire, the reconstruction would be a lot easier. That same structure stands to this day, and even survived Hurricane Sandy of 29th October 2012. 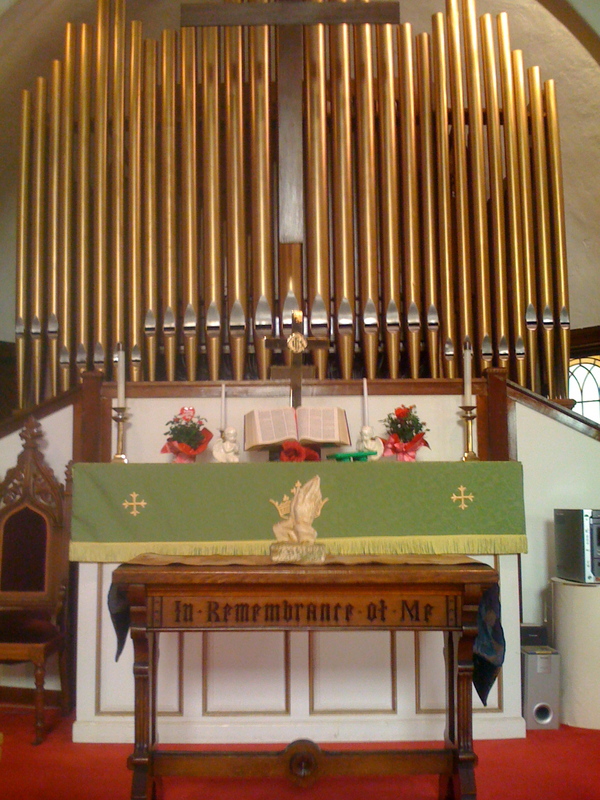 The pipe organ behind the altar at the Sea Bright United Methodist Church was donated in 1893, right after the fire, by Mr. E.S. Nesbitt, the great-grandfather of the Music Director George Finegan. Mr. Nesbitt was once a post-master of Sea Bright, a local plumber and eventually a banker in Long Branch. "My great-grandfather, E.S. Nesbitt, bought this organ for $750, which was two years' pay for the average worker back in 1893", said lay leader George Finegan. "Today it would cost between $150,000 and $170,000". - excerpted from an article by Robin Keats, Asbury Park Press of May 2, 2002. The pipe organ was built by C.S.Haskel of Philadelphia. 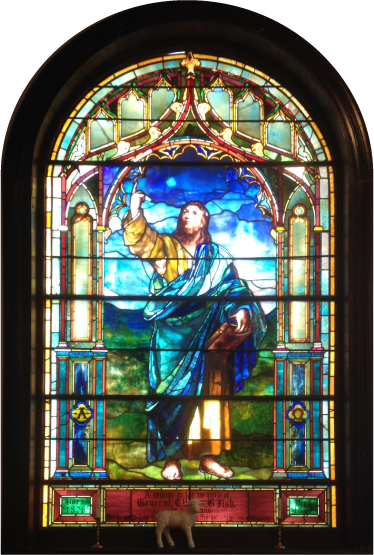 The beautiful stained glass window that adorns our sanctuary was donated, right after the fire, by Mrs. Clinton B. Fisk, in memory of her husband, General Clinton B. Fisk (1828-1890), a Union Civil War General. Prior to his death, General and Mrs. Clinton helped to finance the present Church construction. General Fisk was an Abolotionist who also funded the construction of Fisk Chapel in Fair Haven around 1885. Fisk University is also named after the General.